ECO-FRIENDLY MONEY SAVER - Recharge up to 500 times for increased lifespan. Avoid wasting money on disposable batteries. READY TO USE - All Batteries are pre-charged and ready to use out the package. LASTING CAPACITY - With no memory effect, charge your batteries anytime and get the full capacity for each use. ECO-FRIENDLY & MONEY SAVING - Reduce. Reuse. Save. 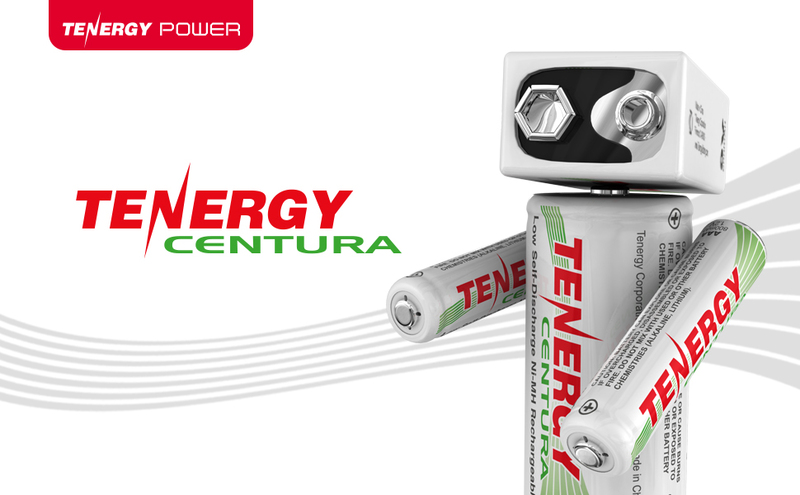 Being one of the most cost-effective batteries, the Tenergy rechargeable NiMH AA battery can be recharged up to 500 times. The battery pays for itself after 5 charges. So avoid wasting time and money on the disposable alkaline batteries and replace them with our rechargeable 1.2V AA battery to decrease the waste disposables leave behind. The charge time will depend on the charger's charge current. To find the charge time, take the capacity of the battery (2000mAh) and divide it by the charge rate. Will it only work in Tenergy brand chargers? These batteries can charge in other brand chargers. As long as the charger supports rechargeable AA size NiMH batteries, it will work. What Tenergy charger will work with these batteries? Do the batteries come pre-charged? Yes the batteries are pre-charged, but you can maximize capacity by charging it on first usage to top it off. What is better, Premium or Centura? These batteries are ideal if your device draws little power over a long period of time (weeks or months). If you often have the device sitting unused or idle for days or weeks and you would still like it to run without much power/capacity loss, then the Centura batteries are the best option. If you require the batteries to be close to full capacity after it has been sitting unused for a long time, then the Centura batteries will work best. Premiums are best if you require the highest capacity possible or the longest run-time. It is optimal for high drain devices like cameras, game controllers, or radios. If the devices that are used tend to be operated/used right away within a couple of days or the week after the batteries are charged, then we recommend our Premium brand. These batteries are best if you hardly have your device sitting idle for weeks or months. The battery choice is based on the user's preference. It is heavily dependent on the application you are planning to use them in.